PROFESSIONAL HEADSHOTS - ATTENTION GRABBING IMAGES! Whether you are looking for modelling headshots, corporate headshots, an engaging image for your blog/Linkedin or would like to improve your social media visual presence then professional headshots are a must! To grab attention and portray the image you'd like to get across you'll need good quality, dynamic and engaging images to get the viewers attention. 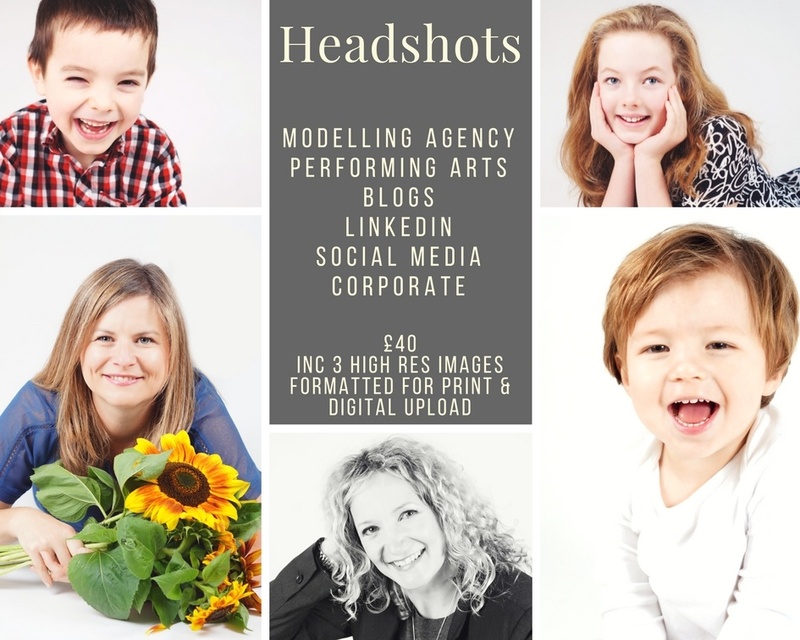 I offer a fantastic headshots package for just £40, this includes a 15 minute session where we will explore a variety of expressions and poses to create professional headshots designed to show your/your child's personality and versatility. After the session you can choose your favourite 3 images which will be supplied as high res digital files in colour and black and white (formatted for digital upload and print via Dropbox). Family - £75 (12 digtal images), perfect for the professional parents with children in the modelling or performing arts arena's. To book your headshots session contact me today!